The Lakeview Hotel boasts some famous neighbors, including Pecking University, the Weiming Lake, the Summer Palace and Yuanmingyuan (Garden of Perfect Splendor). The hotel has integrated the profound cultural heritage of Pecking University and committed to establishing a unique platform for international cultural exchanges. 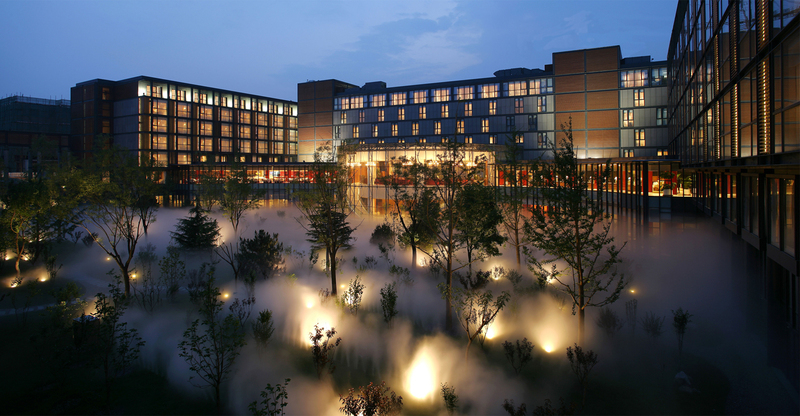 With the situational advantage, the hotel has spacious and comfortable guest rooms, the poetic 6000 ㎡ king-size courtyard garden and the complete conference, entertainment and recreational facilities. Here you can have a taste of the humanist spirit of the prestigious university with a 100-year history, or enjoy the vibrant landscapes and personalized service. The Lakeview Hotel All rights reserved.